Gaia’s Dream is a vivid animated film made by drawing and painting directly on 16mm clear film. 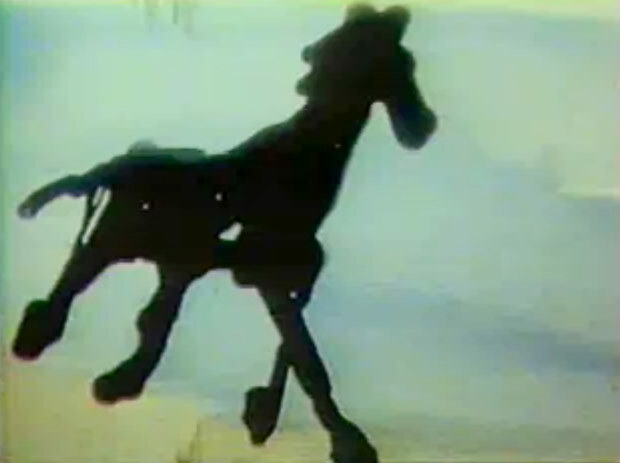 Emerging from images which suggest primordial beginnings, a running horse becomes the focus of this rhythmic and abstract animation. At its climax, the horse is transformed and takes flight before disappearing into the sun from which it came. The musicians of Gwinyai performed a soundtrack of traditional music from Zimbabwe expressly for the film.